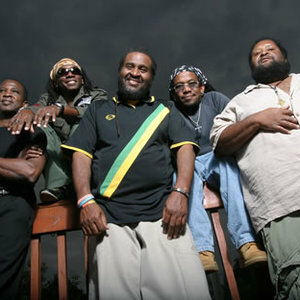 The reggae group Inner Circle was formed in 1968 by the brothers Ian and Roger Lewis in Jamaica. At first they covered soul and R&B hits from the United States, and then also a few reggae songs, predominantly from Bob Marley. The band released two albums as The Inner Circle in 1974 for jamaican label "Starapple"(and they were distributed by "Trojan" in UK), and resigned to Capitol Records in 1976, and Island Records(where the internationally successful album "Everything Is Great" originated. This album reached top 20 in the UK and preceded their other chart success by some years) in 1979. The band released two albums as The Inner Circle in 1974 for jamaican label "Starapple"(and they were distributed by "Trojan" in UK), and resigned to Capitol Records in 1976, and Island Records(where the internationally successful album "Everything Is Great" originated. This album reached top 20 in the UK and preceded their other chart success by some years) in 1979. Inner Circle was decidedly influenced through the original member Jacob Miller, the frontman and lead singer who was killed in a car crash on March 23, 1980. At the end of the 1970s Inner Circle with Jacob "Killer" Miller was more popular in Jamaica than Bob Marley. The band also appeared in the reggae cult film Rockers in 1978. After the loss of Jacob Miller, Inner Circle broke up, but in 1982 another album called Something So Good was released. In 1986 Ian and Roger Lewis reestablished Inner Circle with the singer Carlton Coffie, and the band experienced a comeback with the album Black Roses. In 1989, Inner Circle released the song "Bad Boys." Since then, the band calls itself "The Bad Boys of Reggae". They had another big hit with the 1993 song "Sweat (A La La La La Long)." The lead singer Carlton Coffie was ill for a long period in 1995 and decided after his recuperation to start a solo career. The current singer Kris Bentley took his place.